Five security personnel including a CRPF officer were killed in an encounter with militants on Friday in Kupwara district of Jammu and Kashmir while a civilian died in clashes near the site, officials said. 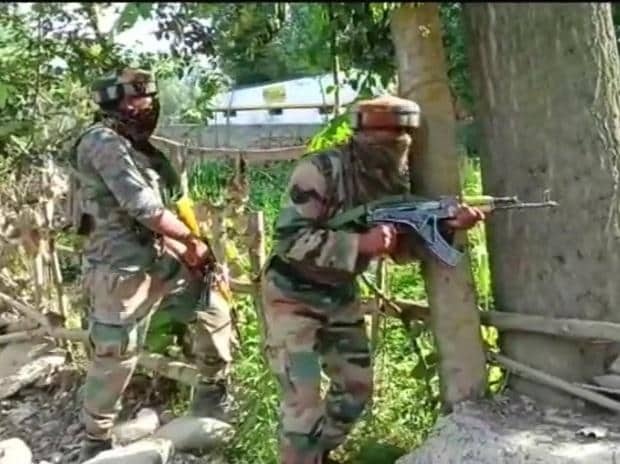 Security forces launched a cordon and search operation in Babagund area of Kupwara following information about presence of militants there, they said. A gunfight started after the militants opened fire on the security forces, who retaliated. There was lull in firing several times during the day but militants would resume firing as soon as the security forces advanced towards the house where the ultras were hiding, the officials said. After one such interval, the militants opened indiscriminate firing on the advancing team of security personnel, the officials said. Nine security force personnel were injured in the firing by the ultras, they said adding five of them succumbed to injuries. The slain personnel included a CRPF inspector and a jawan, two army men and a policeman, they said. A youth, identified as Waseem Ahmad Mir, suffered severe injuries and was rushed to a hospital where the doctors declared him 'brought dead', they said. They said the operation was in progress when reports last came in.